Real estate prices are starting to show signs of strain; more than one-third of homes for sale had a large price cut in October– the most discounting in the past eight years. Corporate and government bonds are falling. The S&P 500 is down 7%, and the big popular technology stocks that have been fueling the boom in stock prices for the past several years have been violently declining. Oh, it’s not just in the US either. I remember spending time in Florida back in 2007 when property prices had already started declining. All the real estate agents I met kept telling themselves ridiculous affirmations about how the market was going to come roaring back soon, and the good times would return. 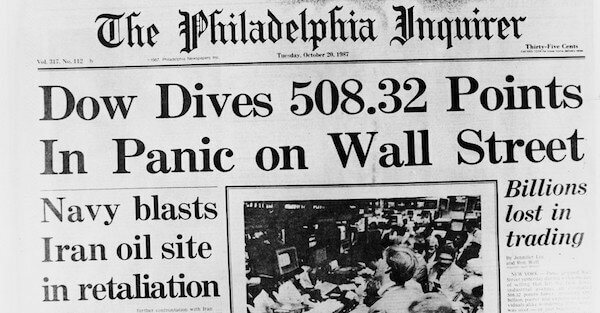 Less than a year later the worst financial panic since the Great Depression had set in. And it would be years before prices would finally recover. Remember—asset prices peaked in October 2007. But the giant financial crisis didn’t kick off for nearly a year, in September 2008. We might be in a similar situation today; it’s possible that markets peaked last month. And we’re now in the “stew and fester” phase where prices gradually decline while people keep hope that the boom times are coming just around the corner. And then, within a year or so, something sets off another huge crisis that pops the bubble once and for all… just like the bankruptcy of Lehman Brothers did back in 2008. We won’t know what that event will be until after it happens. But what we do know for sure is that the last financial crisis was caused by too much idiotic debt in the system. Banks were lending money to legions of borrowers who had a history of not paying their debts… and then actually pretended like these toxic loans were great investments. Today, we’re seeing the same stupid debt work its way into the corporate and government sectors. This is the sequel of the same movie we saw ten years ago… and it would be pretty foolish to not expect the same ending.